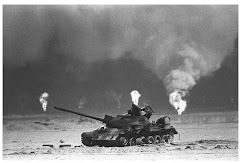 WASHINGTON – The Department of Veterans Affairs (VA) is announcing the appointment of new members to the Research Advisory Committee (RAC) on Gulf War Veterans’ Illnesses. VA will appoint Stephen L. Hauser, MD as committee chair for a term through September, 2016. Dr. Hauser is the Robert A. Fishman Distinguished Professor and Chair of the Department of Neurology at the University of California, San Francisco. A neuroimmunologist, Dr. Hauser’s research has advanced the understanding of the genetic basis, immune mechanisms and treatment of multiple sclerosis. Additional appointees include Ronnie D. Horner, PhD, who is a Professor of Epidemiology in the Department of Health Services Policy and Management at the Arnold School of Public Health, University of South Carolina; Frances E. Perez-Wilhite, a former US Army Officer who served as a Lieutenant in Desert Shield in 1990; and Scott S. Young, MD, a former Navy flight surgeon during the Gulf War, who currently heads Kaiser Permanente’s Care Management Institute, an organization dedicated to creating and supporting high quality care delivery programs. These new members will serve terms through September 2017. “VA is incredibly excited about the fresh perspective these new members will bring to the RAC, and we will continue to invest in research to understand and treat Gulf War Veterans’ illnesses,” said Secretary McDonald. VA will also begin a study to examine brain cancer in Gulf War Veterans. The formation of the study was prompted by a discussion between VA Secretary Robert A. McDonald and members of the RAC. The members expressed concerns over the possible association between exposure to chemical nerve agents and brain cancer in Gulf War Veterans. “Formation of this workgroup of VA subject matter experts to study research literature on the incidence of brain cancer in Gulf War Veterans is the latest VA effort on their behalf,” said Secretary McDonald. 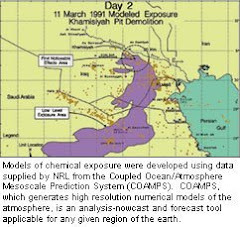 Some Veterans may have been exposed to chemical weapon agents during the demolition of the munitions depot in Khamisiyah, Iraq, in March 1991 after the Gulf War ceasefire. VA expects to complete the brain cancer study by the spring. Gee.you would think that they would put a Disabled Veteran on it that has been affected by GWI. Makes too much sense right?